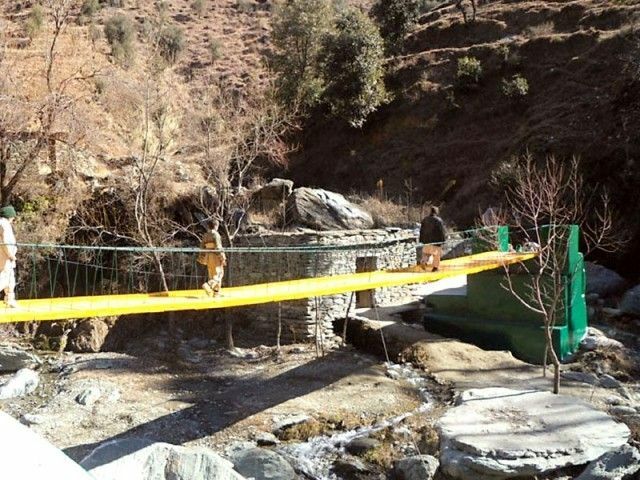 The construction of a suspension bridge in Shinkat village in Swat valley has restored the only all-weather land link connecting villagers to Mingora. The bridge, connecting Shaltalu village with Shinkat and Mingora, has been termed as a landmark by villagers, where life is slowly coming to normal after militants were cleared off the area by Pakistan Army. Funded by the Australian Agency for International Development (AusAid), the bridge has been constructed by local people with technical support from Sarhad Rural Support Programme. AusAid has so far completed 82 development schemes in 19 union councils in Swat valley.